Photo: Supplied by Canberra Women in Business. It’s international Fashion Revolution week (April 23rd – 29th). 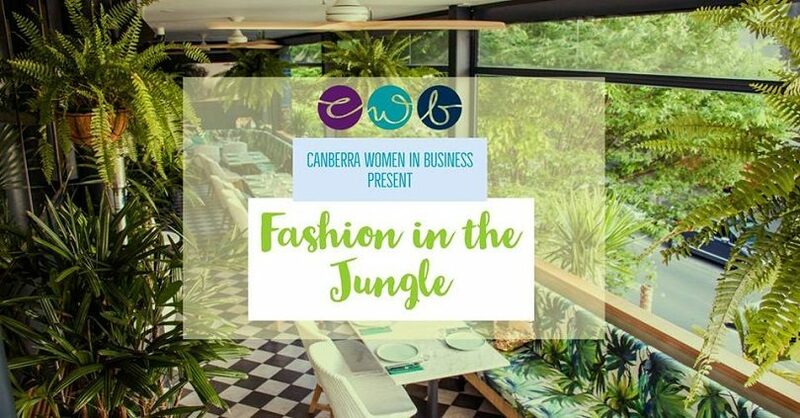 Canberra Women in Business (CWB) fully supports and celebrates the values of the Fashion Revolution; fairness, sustainability and responsibility to make choices that affect women and the planet positively. This is why CWB is excited to be hosting a fabulous Fashion Revolution event, ‘Fashion in the Jungle’! The glamorous occasion will kick off at Kokomo’s in Civic at 5:30 pm on April 23rd with a panel of Canberra’s sustainable clothing pioneers; Kelli Donovan from Pure Pod – Sustainable, Vicky Kidd-Gallichan from Rockstars and Royalty and myself, Eco Stylist, Nina Gbor. Fashion Revolution week marks the 5th anniversary of the Rana Plaza factory collapse, which killed 1,138 people and injured many more in 2013. The factory was one of many factories in Asia that make clothes for some of the fashion retailers we patronise. The week is created by the Fashion Revolution movement. Photo: Supplied by Fashion Revolution. The global Fashion Revolution Movement was created following the Rana Plaza incident by people who like me, love style but don’t want our clothes made at the cost of people’s lives or our planet. The Movement is about heralding a sustainable fashion future by spreading awareness about what goes on behind the scenes of the fashion industry and empowering people to make better choices. There are approximately 75 million garment workers in the world and 80% of them are women. Unfortunately, the majority of the workers who make clothes for the global market live in poverty. Too many are subjected to exploitation, dirty and unsafe working conditions, and physical and verbal abuse. In addition, many are paid very little wages, which keeps them stuck in poverty, making this business model a form of slavery. One of my goals in life is to contribute to making sustainability the mainstream and standard for how we manufacture and consume clothing. On that note, there are many things that you can do to make this happen as well whilst building a stylish, sustainable wardrobe at the same time. You don’t even have to be a super green warrior to get involved! I will list them below but first of all, come and listen to the fabulous panellists at Fashion in the Jungle on Monday evening at Kokomo’s. It’ll be an opportunity for all women to understand how they can participate as regular businesswomen who want to wear great clothes and look good without having to be pioneers or gurus. The panel will give an inside look into the fashion industry; how it impacts women in developing countries, natural resources and waste. And very importantly, how women can make an impact individually and collectively, and look like a million bucks while we do it! Anyone wearing a preloved, upcycled, recycled, ethically or sustainably produced outfit will be featured in the parade, and will be eligible for a 25% discount at their next CWB event and will be photographed by the amazing Brunela Fenalte. You will get to enjoy the delights of Kokomo’s with champers, selection of canapes, and cash bar upstairs at the delightfully green Kokomo’s with networking, our panel discussion, and a fashion parade with purpose. Be part of our sustainable and ethical fashion parade in the Jungle! 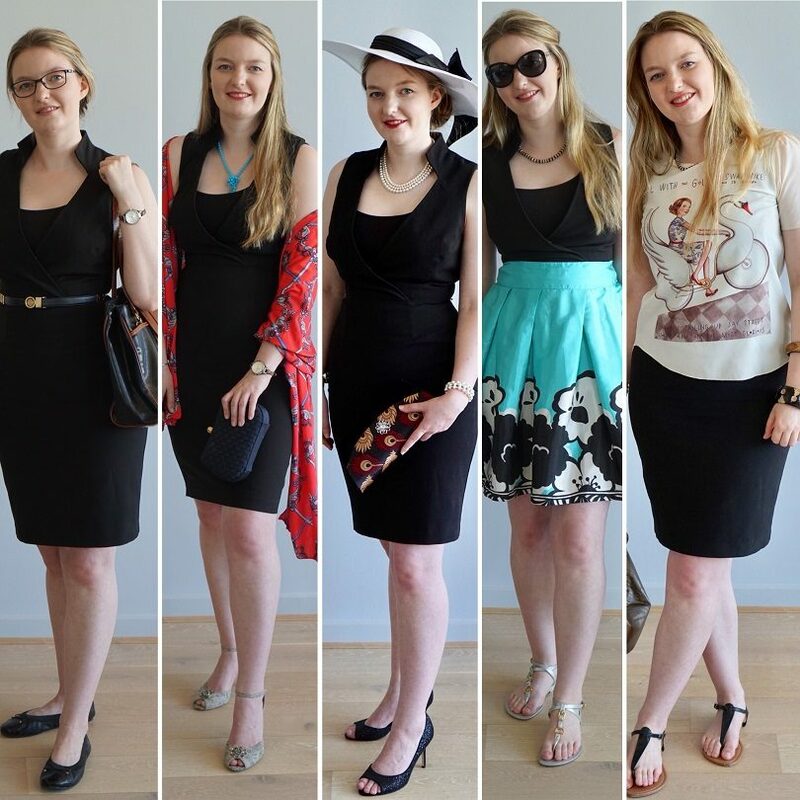 Restyled dress in 5 different looks ranging from corporate to glamorous to casual. Photo: Supplied by Nina Gbor. Maintain a circular economy – This is about reusing, restyling and upcycling. In Australia, we throw away 6,000kg of clothes to landfill every 10 minutes! If that concerns you enough to do something about it, then it’s a good idea to consider acquiring your clothes from preloved fashion markets, op shops and Clothes Swaps. 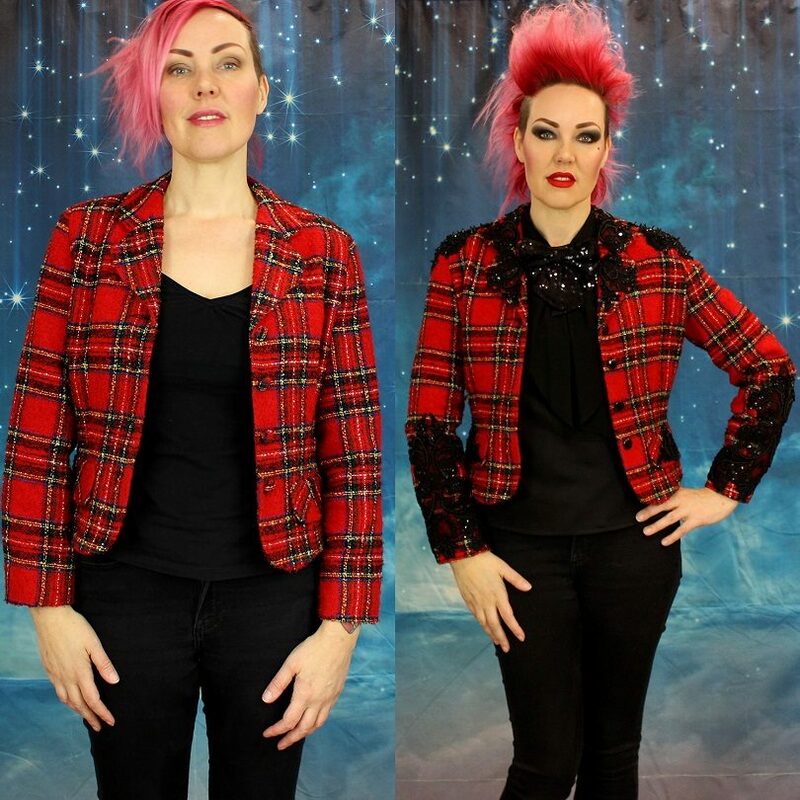 You can get an Eco Stylist like me to help restyle your wardrobe, creating many new outfits from what you already have; therefore, create something like a travel capsule wardrobe for instance. An Eco Stylist can also help you analyse your colours, body type and other metrics to make fashion markets, clothes swaps and op shops easy to navigate. If you know how to work a sewing machine or needle, then try upcycling. If not, you can attend one of Vicky Kidd-Gallichan’s upcycling workshops to learn how. Upcycled jacket. Photo: Supplied by Vicky Kidd-Gallichan. Buy new from ethical labels – These are the labels that deserve the biggest praise for making clothes the right way! Most of them ensure everyone from the cotton farmer to the garment worker is paid a fair wage and treated with dignity and respect. 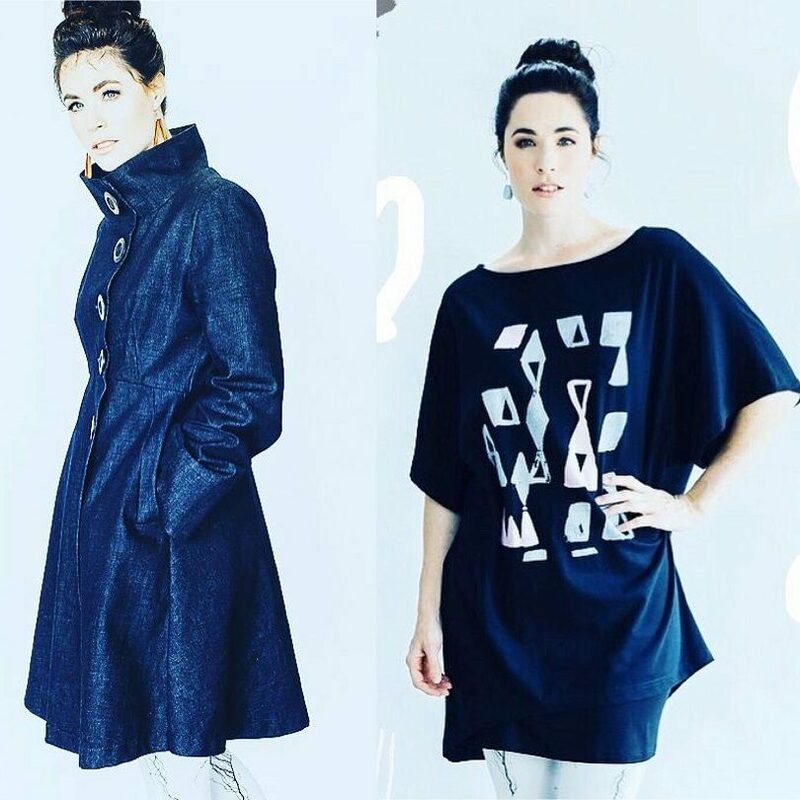 Our very own Canberra label, Pure Pod founded by Kelli Donovan is one such brand. These brands sometimes have Fairtrade certification, and they make organic clothes using natural fabrics. Pure Pod ethical clothing label. Photo: Supplied by Kelli Donovan. Join the Fashion Revolution – Use the campaign hashtag: #whomademyclothes on Instagram, Facebook and Twitter. Download social media tiles and posters from the Fashion Revolution website. Write on the social media pages of the brands where you shop or in an email telling them how much you love their style and ask for full disclosure of their supply chain, asking what they’re doing to mitigate exploitation of garment workers, ensure fair wages and fair treatment of all the workers who make their clothes. Wear natural fabrics – These are textiles like silk, wool, mohair, linen, alpaca, cashmere and organic cotton. Most clothes these days are made from polyester, nylon and acrylic. They’re a kind of plastic made from petroleum derivatives. Not only do they take possibly thousands of years to decompose but they release toxic gases like methane into the atmosphere in the process. In addition, each time they’re washed, they shed plastic microfibres that get washed down the drain, eventually making their way into the oceans. The plastic microfibres absorb toxic chemicals which get taken in by the seafood creatures that ultimately end up on our plates. Seafood eaters consume an average of 11,000 microfibres a year! These very tiny fibres could be making us sick! Get your ticket to Monday’s Fashion in the Jungle here. The ethics of fast fashion: do you really know what you are paying for?